Marek Zacharkiw reviews Yellow (2012) (short). 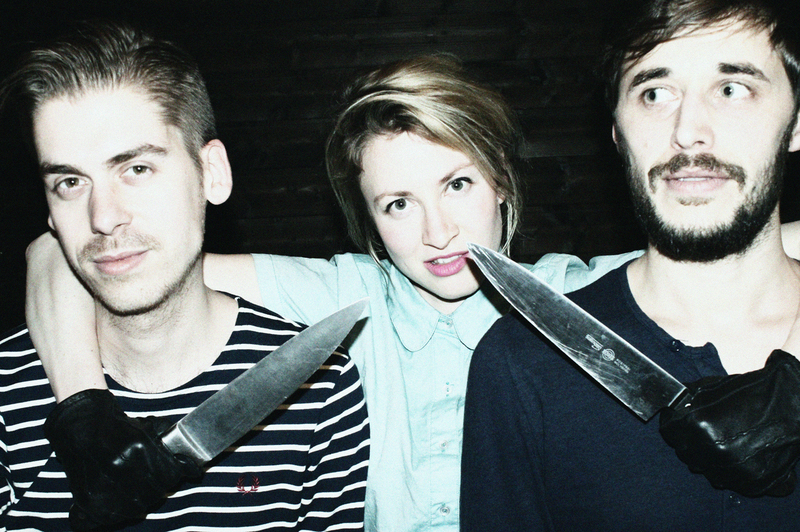 – Stigmatophilia's gore splattered corner of insanity. 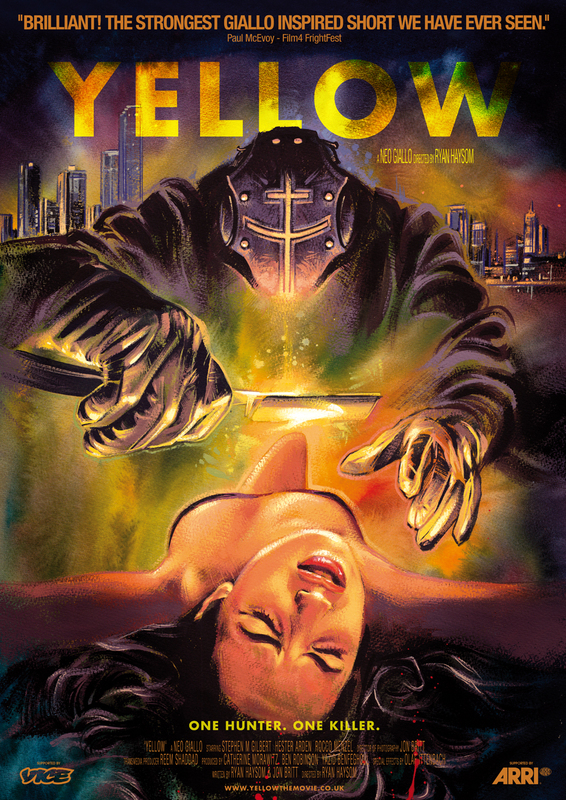 Home › Reviews › 00's horror › Marek Zacharkiw reviews Yellow (2012) (short). Yellow is the story of a man obsessed with hunting down a vicious serial killer of women, who is committing gruesome murders across the neon-lit city of 1980’s Berlin. We are arguably in the midst of a neo-gialli revolution, but where many of these films merely incorporate artistic cues and imagery from the 70s giallo heyday in their arthouse (Amer) or diversified (Berberian Sound Studio) offerings, Ryan Haysom’s short film ‘Yellow’ takes more direct influence as it pays homage to this niche genre while features many of the trappings of the genre; leather gloves, razor blades and of course, some J&B Whiskey. Being a short film the story summary is relatively direct, as we follow an unnamed older man (Stephen Gilbert) hunting down a vicious serial killer across 1980’s Berlin in a bid to halt the violence. We are told nothing of his back-story or his life, we only know the killer is in contact with him as they play their game of cat and mouse. Of special interest to horror fans is the man behind the special makeup effects, a certain Olaf Ittenbach, famed for directing Premutos and The Burning Moon and his Fx work on Seed amongst others, this is a man who knows horror and I am pleased to expand on this to say that this is a film created by those who know horror, but anyway, back to the Fx and you will be pleased that Olaf’s work does not disappoint here, as eyes get slashed and teeth smashed. Also worthy of individual note is the effective score by Anton Maoivvi, which exudes a fitting and strong 80’s vibe coming off like a sharper version of the recent Maniac remake with a hint of Simonetti et al.’s Tenebrae , which perfectly complements the visual power of the film and Berlin in general. Congruent with this is the overall tone of the film, a juxtaposition of gloom and neon lit action, with this being expertly achieved through the limited dialogue and the DP’s use of light, the many night time shots lend a bleak almost despairing feel yet the urgency of the lead character’s quest breathes with a frantic pace and the viewer cannot help but be sucked into this world of a mysterious black gloved killer. The only negative from this short, and I am being picky here, is that plot revelation or twist if you prefer, will be familiar to many with an interest in euro-horror and reminded me in particular of one French film which will remain nameless, however, that is a minor gripe in a visually stunning and fantastic short film. Despite being filmed by a Brit in Germany, this film exudes Italian style and influence throughout and that extends past the film itself, check out the New York Ripper-esque poster designed by horror art legend Graham Humphreys, and is certain to please both giallo and more general horror fans alike. ‹ Dr. Catsu reviews Return to Sleepaway Camp (2008).